Shelf Actualization: Roberto Bolano's "Summary Dialogue"
"Espinoza called Pelletier and asked whether it wouldn't be a good idea to get in touch with Norton. Unsure, they decided to ask Morini. Morini abstained from comment." "She said yes, she had met Archimboldi many years ago, but she didn't remember his face anymore, or what he was like, or any story about him that would be worth telling. She couldn't remember the last time he was at the publishing house. She advised them to speak to Mrs. Bubis, and then, without a word, she busied herself editing a galley." "Norton said there was nothing strange about Espinoza's lateness. Planes got delayed, she said. Then she said, I never turn on the television, surprised that Pelletier didn't already know that. Of course Pelletier did know it. But he hadn't had the spirit to say: let's watch the news." Now, after pouring back through the book, I've realized that Bolano does, on occasion, implement the use of quotation marks and standard dialogue. But, it appears to be somewhat rare, at least in Book One. Which begs the question: is this summary of dialogue effective? Do we like it? Or do we prefer to actually hammer through the quotation marks of word for word dialogue as spoken by the characters? I am prone to argue that the "Summary of Dialogue" increases the flow, the current, the fluidity of the writing. I'm not bothered by the lack of quotation marks- Cormack McCarthy doesn't use them, and early printings of Steinbeck just set dialogue off with dashes. But their character exchanges still read like conventional dialogue. 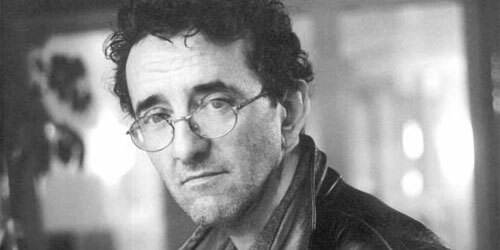 At first blush Bolano's style seems to go against the time-honored writer's dictum of 'show, don't tell.' But I think I agree that it increases the flow somehow. It's cinematic, almost. The exchange rolls before us like we're watching a movie. The only line of direct dialogue in the excerpt you posted is 'I never turn on the television.' (and maybe the phrase 'let's watch the news,' which isn't actually spoken.) Everything else is summarized.